The Syrian revolution is caught in a complex web of challenges, including a nonviolent movement in decline, volatile militant groups on the rise, and regional and international actors who are more active in the conflict than Syrians themselves. However, hidden within this grim reality, there are still nonviolent activists who work both in the shadows and in broad daylight, within the borders of Syria and abroad. These people strive to keep the flame of nonviolent revolution alive, despite the overwhelming forces working against them. Dawlaty conversed over a period of six months with these activists, encouraging them to search for new tools, question past choices, and analyze the successes and failures of the nonviolent movement in Syria. This report is the fruit of that dialogue. Dawlaty is a nonprofit organization that focuses on developing and empowering civil society in Syria in order to facilitate democratic transition. 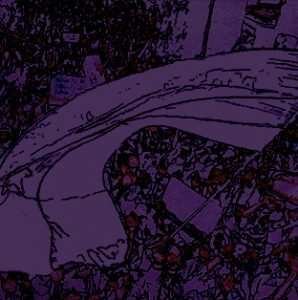 This report seeks to document activists’ experiences and insights as a resource for the nonviolent movement in Syria. It was made by and for nonviolent activists. The goal is to provide a constructive critique of nonviolent activism in Syria with the hope that the report’s findings and recommendations might strengthen the movement and guide nonviolent activism back to the center of the Syrian revolution as a primary catalyst for change. The current state of the movement is fragmented and scattered across a disconnected geography, with stakeholders who share both common ground and divergent agendas. This report seeks to focus the debate by defining the movement’s core issues. It seeks to establish an identity for nonviolent activism, the nonviolent movement, and civil society in Syria. It also explores the questions that are at the forefront of activists’ minds, such as whether humanitarian aid is to be regarded as part of the nonviolent movement, what the movement’s position on military operations should be, and whether or not there is hope for the movement’s revival.